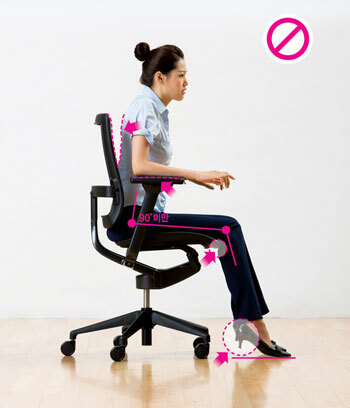 Try to sit with good upper and lower back support most of the time at work. Avoid leaning forward for long periods as this places stress on your lower back. Your feet should be comfortably flat on the floor with your upper & lower legs at an approximate 90° angle. Your elbows should be at the same approximate height as your keyboard. If the keyboard is too high, you may need to lower the height of your desk (if possible) or raise the seat height of your chair and use a footrest. 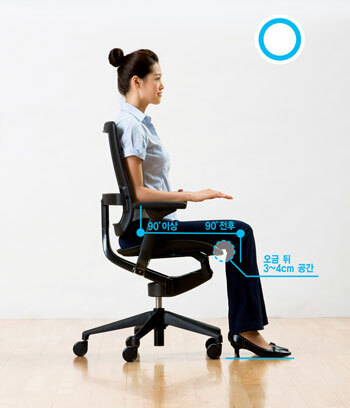 Learn how to adjust your office chair and trial different positions for your own comfort.